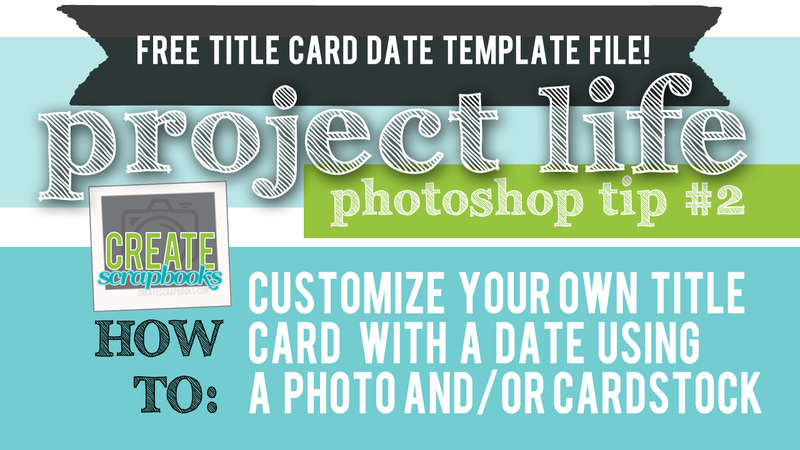 This is a free digital 4×6″ Photo & Date Overlay .psd (Photoshop & Photoshop Elements) digital template file. 1. 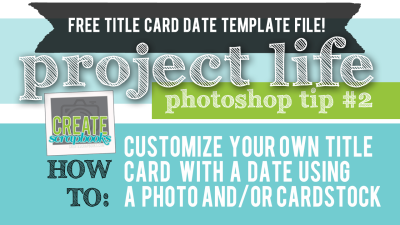 A 4×6″ photo title card with date: Use this handy template file to drag and drop your 4×6″ photo onto, change the date and print as a title card for your project life style scrapbook. 2. 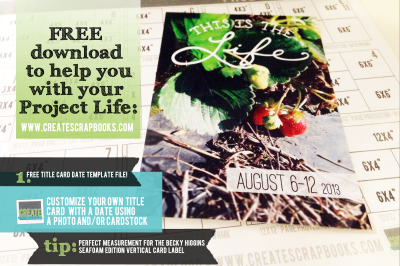 A custom 4×6″ date title card only: Or, you can delete the photo layer and just print the date for a custom vertical 4×6″ title card (works perfectly with the Seafoam Edition Project Life by Becky Higgins vertical 4×6″ cards – fits inside the white label). 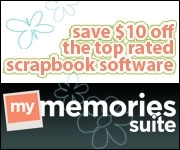 For personal use only, please do not redistribute. The “this is the life” title was used from the Over App and is not included nor is part of the download, but used on my own photo as an example only. 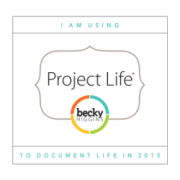 I have no affiliation with Project Life by Becky Higgins, or the Over app.